The King Tut San Francisco exhibit from June 2009 to March 2010 was an exhibit designed to showcase some of the unique history behind the boy king Tutankhamen. His artifacts, first discovered in 1922, sparked an international interest in Egyptology and remain among the most popular museum artifacts of all time. Although the King Tut San Francisco exhibit, like most traveling exhibits, is a temporary event, most of the objects exhibited are on permanent display in Egypt, along with King Tut's mummy itself. King Tut became the pharaoh of all of Egypt at only nine years old, and reigned about 1300 years before the birth of Christ. His fame was so widely known at the time that he was worshiped as a God even while he was alive. No one is certain how King Tut died; however, when he was 19 he passed away so unexpectedly that he ended up being buried in a much smaller tomb than what probably would have held his remains. Many people think that King Tut was killed. X-rays of his skull show signs of intense trauma, but others believe that he simply fell off of a chariot while he was away on a trip and died shortly thereafter. 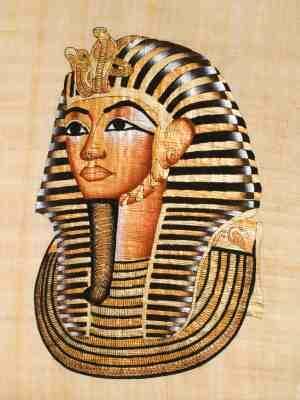 In 1922, King Tut's tomb was discovered by Howard Carter in 1922, and the discovery was an international sensation. The tomb of Tut was among the best-preserved in all of Egypt. Unlike many other tombs, which were looted and fell into disrepair, King Tut's tomb was in pristine condition when it was discovered in 1922. Whether true or false, many individuals believe that the disturbance of King Tut's final resting place set off a curse, known as the Pharaoh's Curse, resulting in the mysterious deaths of many of those involved in the discovery and exhibition of artifacts. Among the findings in Tut's tomb was a cryptic "Book of the Dead," which only fueled these rumors. Unlike a popular 1970s exhibit that toured the United States with over 60 artifacts from Tut's tomb, the King Tut San Francisco exhibit at the de Young Museum announced that it would feature over 130 treasures from the tomb, many of them available for viewing in the United States for the very first time. While certain artifacts-the inner sarcophagus, the funerary mask, and the mummy itself-are not allowed to leave Egypt, many beautiful pieces from the tomb were sent to San Francisco to be included in the San Francisco exhibit. The golden coffinette that housed the mummy's internal organs was displayed as part of the exhibit, along with two coffinettes with fetal remains that were found in the tomb. In 2010, while the exhibit was occurring, these coffinettes were simultaneously undergoing DNA tests to determine their relationship to the boy king. Some of the funerary pieces from King Tut's grandmother Tjuya, including her gilded funerary mask and her beautiful golden coffin, were also sent to San Francisco and included in the King Tut exhibit as well. Other artifacts included in the display included pieces from various well-known tombs throughout Egypt's legendary Valley of the Kings, where King Tut was finally laid to rest. Like most museum exhibits, an audio tour was also designed to enhance the viewing experience for visitors to the King Tut exhibit. Because the King Tut artifacts remain in Egypt on a permanent basis, there are no set days or times that people can expect these exhibits to return to the United States or to San Francisco after the 2010 exhibit. However, other history museums around San Francisco also host mummy exhibitions and displays from time to time, including ones that feature King Tut or other related historical memorobilia. For example, the San Francisco Legion of Honor Museum announced that their April 2010 would feature a new exhibit about Egyptology based around Irethorrou, a famous mummy from ancient Egypt.